A game to forge your reaction and shoe skills! No In-App Purchases! It’s the full package! Hendrik is a schlimazel! All he has left is one last hair on his head, and a pair of teleporting shoes. Everything else was blown away by the wind. Let yourself get carried away and find the scattered remains of Hendrik’s house. 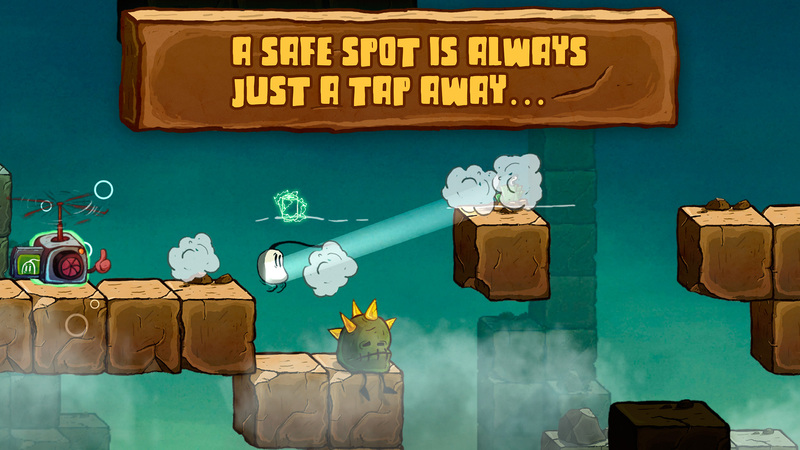 Charge your batteries and teleport Hendrik through ever-moving levels. Pace through 120 levels! Enter worlds like the Burning Playground, the Lost Documents and mucho more! 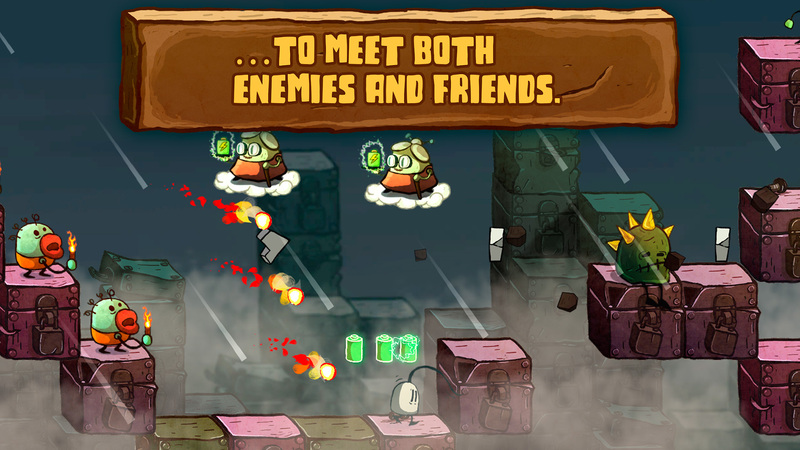 Teleport over chasms, past obstacles and through walls until your teleporting shoes catch fire. Which they never do (inflammable)! 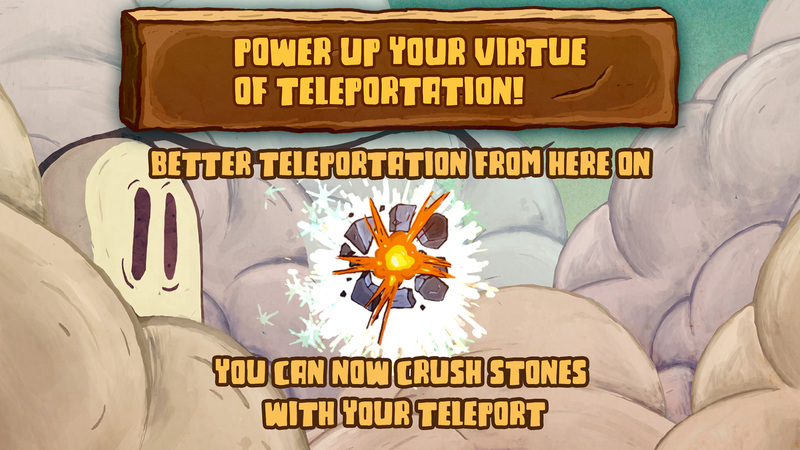 Feast your feet on your Teleporting Shoes, as they get mightier and mightier! 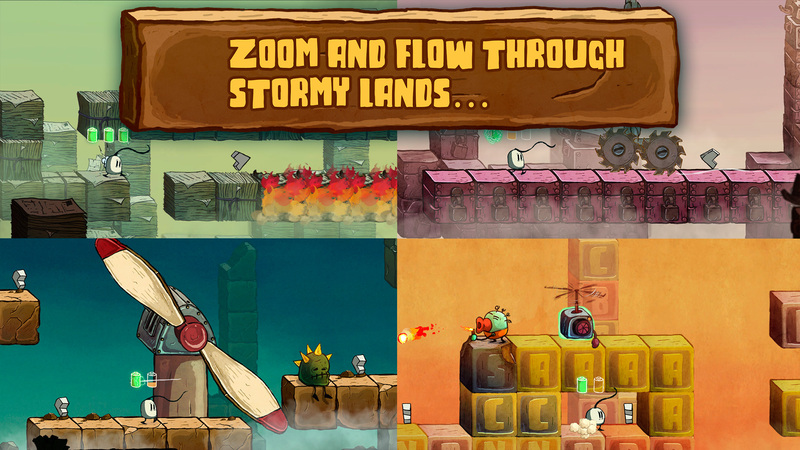 Reveal the secret behind the never-ending wind and collect all parts of the lost house. Meet people like the battery grandma, the aggressive looter and many more.